Stephanie introduced our family to these incredible 2-bite pieces of bacon amazingness on Labor Day, at a backyard barbecue that she and her husband hosted. Although Tom and Stephanie certainly proved their way around the kitchen and outdoor grills, these little babies are what left me swooning. They’re crunchy. They’re chewy. 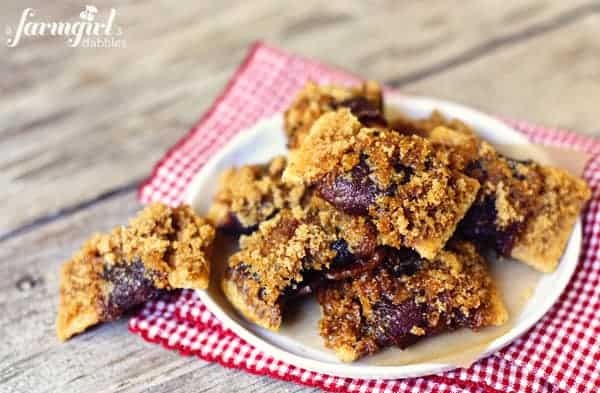 They’re an awesome mix of sweet and savory, with brown sugar slowly baked and caramelized on the salty smoky bacon. I think both words are absolutely perfect descriptions. Preheat oven to 250°. Prepare a large rimmed baking pan by lining it with foil and then placing a wire baking rack on the foil. Or use a broiler pan. Make sure the bacon is at room temperature, as it helps the brown sugar soak in better. Cut bacon slices in half and stretch each piece around the middle of a cracker. Pack brown sugar all around the bacon so it is heavily coated. Place on wire rack. Bake for 2 to 3 hours (Stephanie bakes for the full 3 hours). 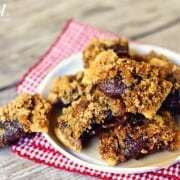 To top with chocolate, melt chocolate chips and butter over low heat until almost completely melted. Do not overheat. Remove from heat and stir until completely smooth. With a spoon, drizzle chocolate over desired amount of (already baked) bacon bow ties. Let set. 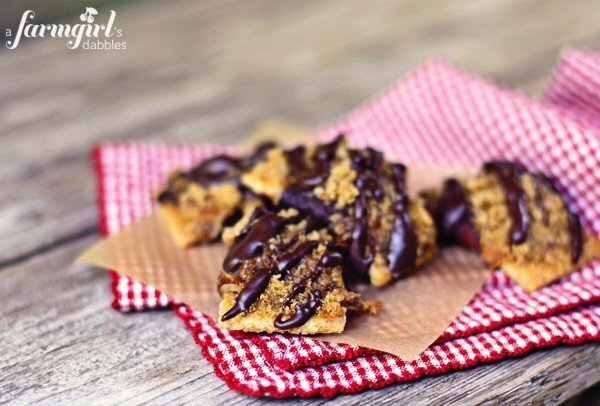 From the recipe box of Stephanie Pfotenhauer, originally a popular recipe at her home church in Florida.